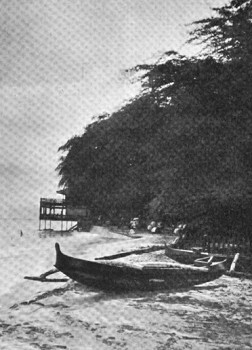 Volume 18, Number 4, October,1919. 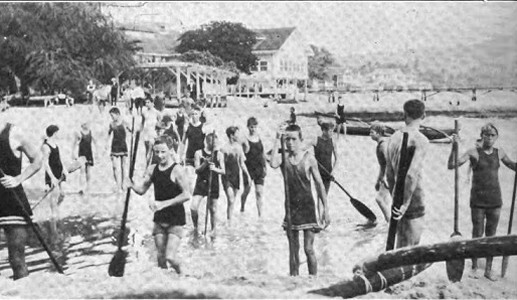 One illustration and a selection of retrospective photographs from Waikiki, some published previously, and dating back to 1907. 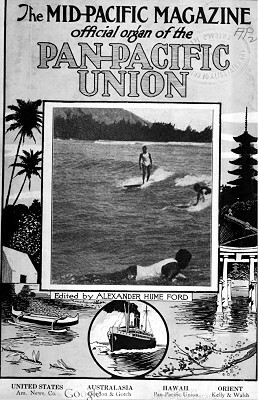 Captions by A.H. Ford, who includes several of the Outrigger Club, in 1919 with some twelve hundred members ... the largest club in Hawaii. where it is always summer. 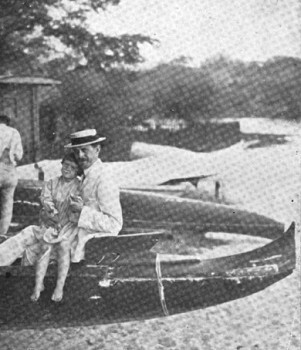 Volume 25, Number 5, 1923, inside cover. 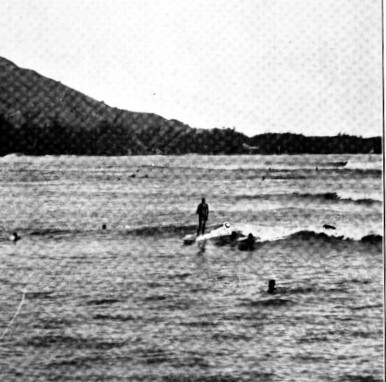 1923 Mid-Pacific Magazine : Surfboard Riding in Hawaii. A.H. Ford: Freeth Will Ride Atlantic Rollers! 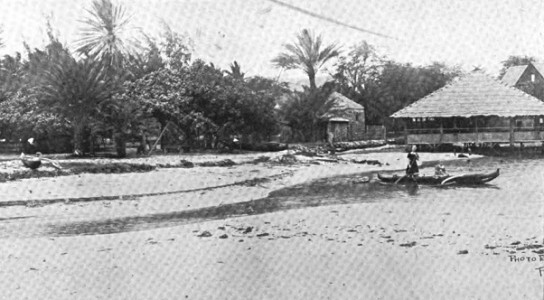 Honolulu, June 28, 1907, page 6. Although accredited to Ford, the photograph is by Edward P. Urwin. up to the beach and later tackle the big rollers on the reef. 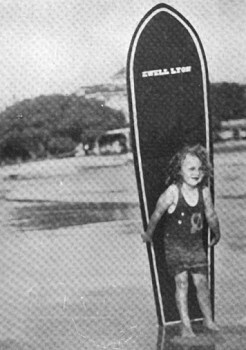 board, until it touches the beach and he steps ashore. 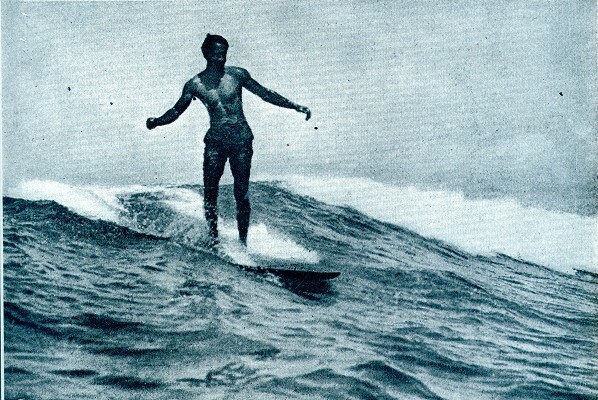 Far out at sea the expert guides his board with perfect ease once he has caught his wave. a few hundred yards towards shore. to ride so has been generally adopted. 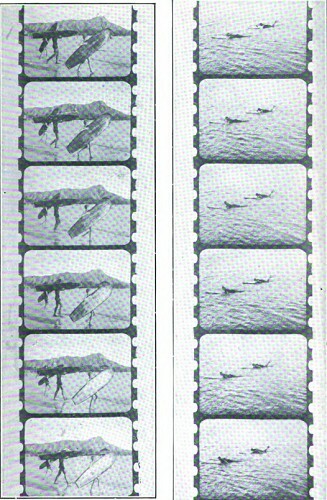 Film strip shot by Burton Holmes, circa 1908.
many surfboards with their riders. 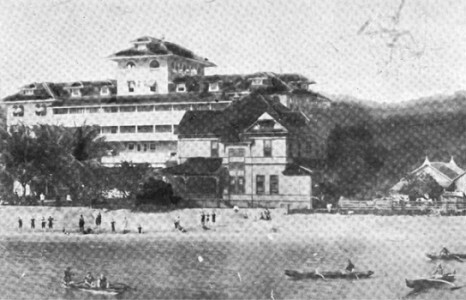 The modern hotel at Waikiki grows larger and larger but the ancient Hawaiian outrigger canoe still holds its own as the only pleasure craft that survives in the surf at Waikiki. 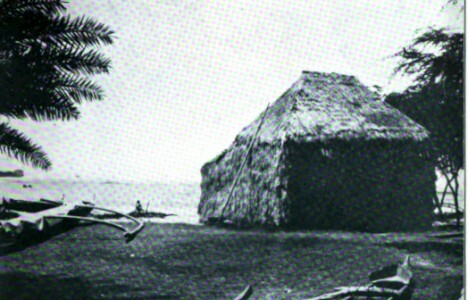 canoe were seen side by side. more valuable as the years fly by. 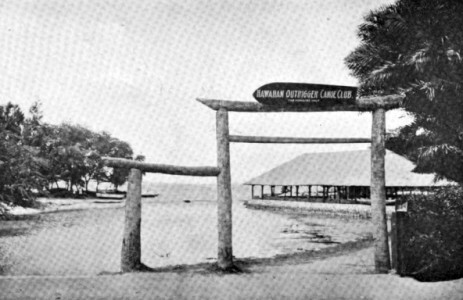 It is the largest club in Hawaii. 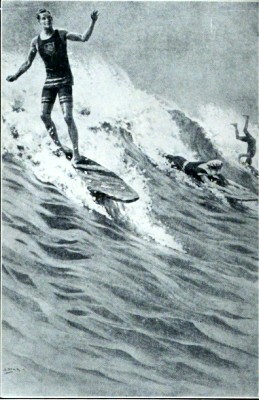 Club at Waikiki.on his shoulders, riding the waves. 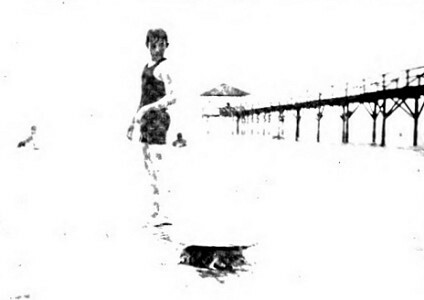 Copyright 1910 A.R. 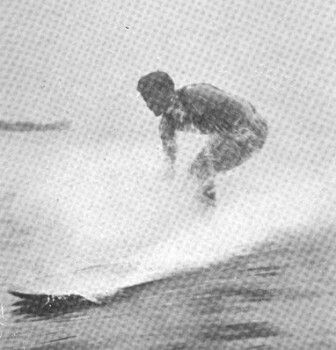 Gurrey Jr. Kahanamoku, Duke Paoa: Riding the Surfboard. 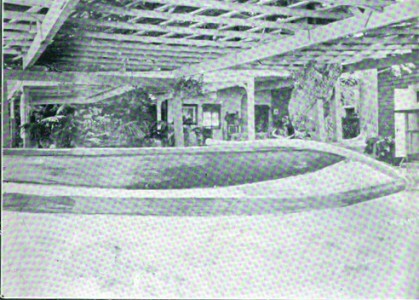 Volume 1, Number 1, January,1911, page 2. 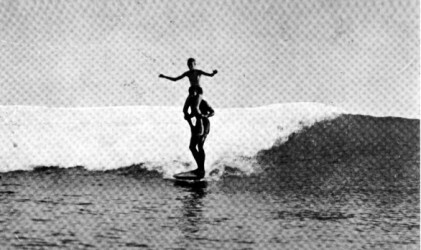 Desoto Brown noted: "Duke (presumably) with boy on his shoulders (identified in another copy of this photo in our collection as Charlie Little. 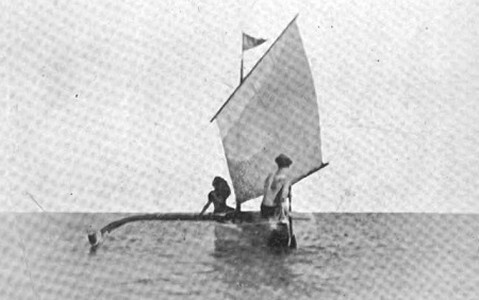 Geoff Cater (2016) : The Mid-Pacific Magazine : Photographs, Hawaii, 1919.